Earlier in 2015, Domino's took an innovative approach to pizza orders, catering for the Snapchat and Yo! Generation with emoji based ordering system. The Twitter-based campaign was so successful it won this year’s Cannes Titanium Grand Prix for most breakthrough idea of the year. This case study looks at the pizza chain’s recipe for success. Domino's wanted a way to appeal to the younger generation of consumers who are used to instant, wordless communication in a world of Snapchat, Instagram and the one word Yo! messaging app. But how could that translate to take way pizzas? Developed by Crispin Porter + Bogusky, the idea was prefaced by a cryptic collection of tweets made up entirely of emojis, sparking quite a bit of interest (and bemusement). The take way pizza chain foreshadowed the announcement on their Twitter feed lately using all pizza emojis and no text. The ‘tweet-to-order’ system went live in May 2015 for customers in the US, becoming the first major player in the restaurant industry to use Twitter on a regular basis to place and complete orders. 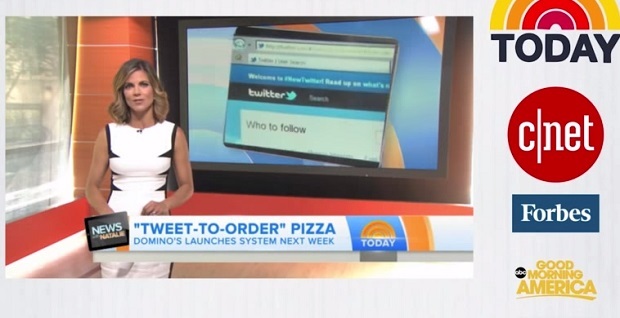 The company will then sends users a direct message, where they’ll confirm their order. 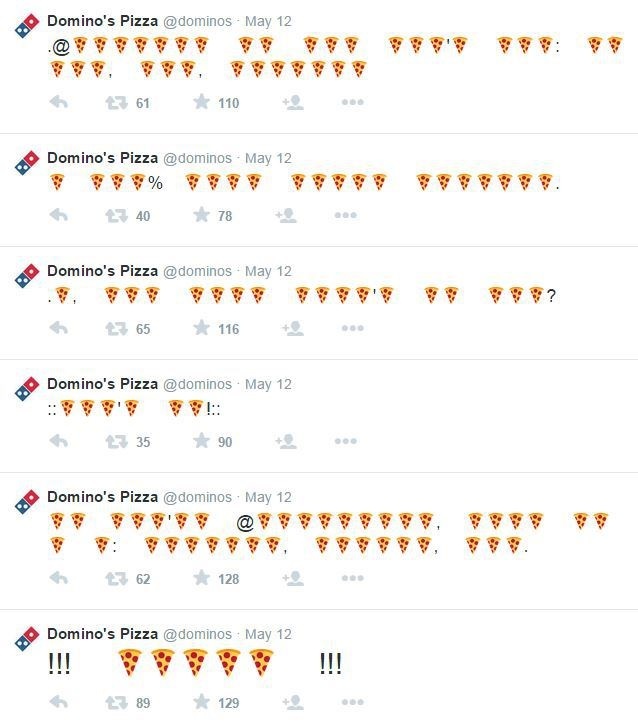 In just one day, more than 500 people across the US used the emoji ordering system, although it’s impossible to say if they would have just ordered the regular way or the novelty of the idea prompted them to use Domino's. But more importantly, the marketing stunt earned the brand plenty of media coverage, on USA Today, Forbes, Good Morning America and comedian Jimmy Fallon all picking up the story. The selection of the Domino's effort for the Cannes Lions award was "certainly a long, drawn-out discussion," according to judge Mark Fitzloff. Partner, Executive Creative Director. Wieden+Kennedy. "We felt really good about awarding an idea that has the potential to impact a major advertiser's business model. What I see in the emoji ordering idea is the touch of an agency, the touch of a creative person on a real, legitimate business-moving idea. Increasingly, that's where the opportunities for ad agencies are."